For looks in need of a little love, use this spacer from TierraCast. This large spacer bead has a large hole so it can be easily strung onto various stringing materials and will bring a bit of vintage flair to necklace designs. The twisted style of this knot design is meant to represent the constancy of two lovers, a never-ending cycle of passion. Try this spacer in a necklace next to any color for a wonderful accent piece. This 5mm TierraCast silver nugget heishi spacer looks as if it was fashioned by hand. It has a thick, irregular coin shape and a high shine. You can add it to your designs for an organic feel. Try it with Swarovski crystal, Czech glass, or gemstone beads. This spacer is made from silver-plated pewter. Silver spacers do an excellent job of incorporating a solitary silver component, such as a clasp, into the overall design. Break up the patterns in your designs with the TierraCast Kenyan heishi spacer bead. This circular spacer features a plain, smooth surface full of versatility. It's sure to add interesting elements to your bead patterns and it works well between larger beads. Stack multiple spacers in earrings for a modern look. This spacer is small in size, so you can use it anywhere. It features a regal golden shine full of classic style. Break up the patterns in your designs with the TierraCast Kenyan heishi spacer bead. This circular spacer features a plain, smooth surface full of versatility. It's sure to add interesting elements to your bead patterns and it works well between larger beads. Stack multiple spacers in earrings for a modern look. This spacer is small in size, so you can use it anywhere. 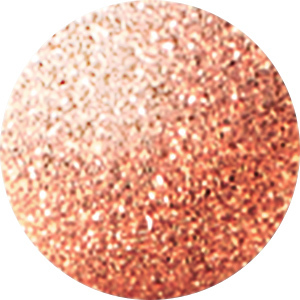 It features a warm copper glow full of rich beauty. This 4mm TierraCast antique rhodium beaded heishi spacer is a great way to add complexity to your designs. Choose your favorite bead and string these spacers between each one for a beautiful bracelet or necklace. This spacer is made from rhodium-plated pewter. It looks like a small metal ring with beads placed evenly around its circumference. You can add this old-fashioned style spacer to a head pin for a dangle or mix it with colorful beads to form a bracelet or necklace. This silver-plated rococo pewter heishi spacer bead will surely make an impact in your next beading project. It features golden facets in the center on an oxidized background. versatile enough for almost any design, this 4mm lead-free pewter spacer is a definite must-have for every beader. Use it as part of a more intricate design, or string a few together for a textured look. The gold color will create a classic feel in designs. Decorate your jewelry designs with this TierraCast spacer bead. This bead features a versatile ring shape with a coiled design around the edge. Layer this bead into designs for added detail and to bring complexity to your bead patterns. You can even pair it with other spacers for a unique look. This bead features a versatile silver shine that will complement any color palette you may have in mind. Silver is a popular color among jewelers because it looks great with virtually any color or material. This heishi spacer has a shiny silver look that's a great alternative, and is completely lead-free. Use this 5mm spacer from TierraCast in a bracelet paired with cat's eye beads or in a necklace laced with gemstones for a polished finish. This rhodium-plated large-hole spacer is designed specifically for use with bead bars, but of course can be used in any other way. It can fit over thicker wires and fibers for more versatile designs. This particular design is simple and elegant with several hammertone facets. Take creativity to the next level with your future designs by adding this cool component. Give your designs complexity by mixing in a few of these 3mm TierraCast antique rhodium-plated pewter faceted heishi spacers. The spacer has multiple facets divided by a shallow channel around its middle. It works quite well spaced between 6mm Swarovski Bicones or freshwater pearls. Rhodium spacers do an excellent job of incorporating a solitary rhodium component, such as a clasp, into the overall design. This small silver spacer is perfect for making your beads stand out from the rest. The rhodium-plated pewter material gives shine without overshadowing the special beads in your jewelry. Try this spacer between Venetian glass beads with blue, orange, or red hues in a bracelet and tie in the pewter touch with a rhodium-plated silver charm. This 5mm nugget style gold-plated TierraCast heishi spacer is built to last. Use this spacer bead in between all your favorite beads or string a whole strand of them for a pewter wonderland. This spacer features a rounded shape with irregular edges for a more organic look. You'll love how the classic gold shine brightens up your jewelry designs. Use it with purples, blues, and reds for a regal look. The rich tones in this plain heishi spacer hold the perfect accent to your next piece. Made of gold-plated pewter, this 6mm spacer from TierraCast has a darker finish, but still shines. Use it in a pearl necklace or on a leather necklace and string with gemstones. Gold-plated pewter is a nice alternative to gold material, and TierraCast is completely lead-free. Break up bead patterns and bring complexity to designs with this TierraCast spacer bead. This small bead features a ring shape decorated with granulations. You can use this spacer between larger, more colorful beads for a touch of texture, dimension, and detail. Layer it with other spacers for a unique display. This spacer bead features a regal golden shine full of classic style. Break up the patterns in your designs with the TierraCast Kenyan heishi spacer bead. This circular spacer features a plain, smooth surface full of versatility. It's sure to add interesting elements to your bead patterns and it works well between larger beads. Stack multiple spacers in earrings for a modern look. This spacer is small in size, so you can use it anywhere. It features a brilliant silver glow that will punch up any color palette. This 6mm TierraCast antique silver beaded heishi spacer is a versatile piece that can be used in a variety of designs and styles. Try it on a dangle for earrings or a charm bracelet. You can also space it between beads on a necklace. The spacer is fashioned from a small ring with beads spaced evenly around its circumference. It features a versatile silver color that will work with any color palette. Put accents of shine into your beaded designs with this TierraCast spacer. This spacer features a hexagon shape with a row of granulation bringing texture around the edge. You can use this tiny spacer bead between larger beads to bring complexity and detail to your bead patterns. Layer it with other spacers for a unique look. This spacer features a rich gold color full of classic beauty. Add detail and the look of silver to your designs with this stunning 4mm TierraCast twist heishi spacer. The spacer bead looks like a cord wrapped around a small ring, so it will add texture and dimension to your jewelry-making projects. Try threading this spacer bead with gemstone beads or Swarovski crystal for a fun design. This spacer bead features a versatile silver shine that will work with any color palette. Add simple style to designs with the TierraCast 5mm antique pewter nugget spacer bead with 2mm hole. 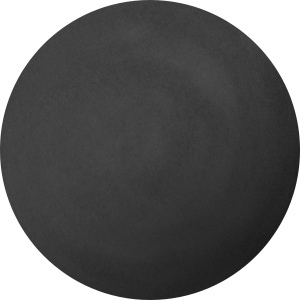 This bead features an organic round shape full of texture. The wide 2mm hole is perfect for using with 2mm round leather cord. The simple style will work in any project. It features a versatile silver shine that will complement any color palette you may have in mind. This heishi spacer has a diluted shine to not overpower the overall look of a design, and its 5mm size means it will look great spaced between any bead. Try using this spacer in a necklace next to freshwater pearls to complete a nice look for any occasion. These spacers are a rich accent for lustrous colors or other precious metals. The larger holes make stringing with thicker material accessible, which means there are more opportunities for your ideas to grow. The spacers are part of the Metamorphosis Collection from TierraCast. Spacers are ideal for setting larger stones. For a dainty touch of metal between beads, try adding this TierraCast beaded heishi spacer. You can use it with small beads or stack three or four spacers between large beads for a stronger effect. The spacer is made from six round beads that are put together into a ring shape. Try this spacer with freshwater pearls, gemstone beads, or Swarovski crystal. It features a versatile silver shine that will work anywhere.